Here is the picture of a house located in Little Haiti in Miami. 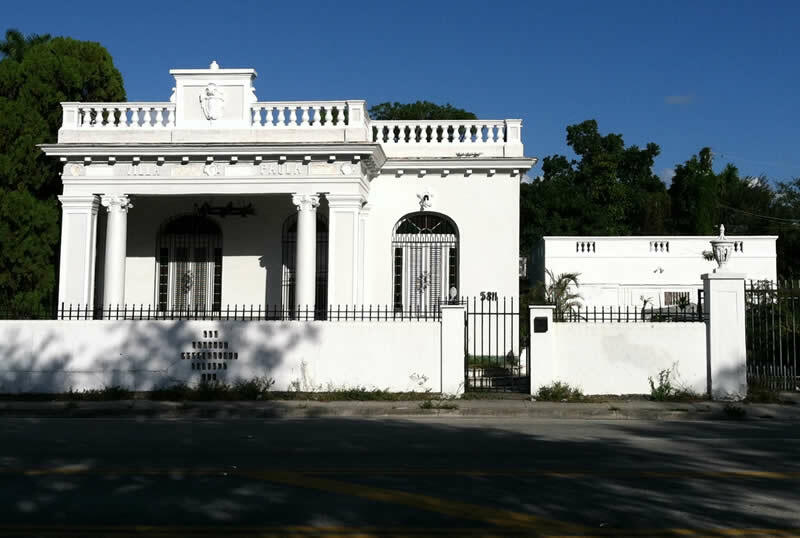 This beautiful mansion located at 5811 N. Miami Avenue is an old Cuban consulate, Villa Paula but also is one of the haunted houses in Little Haiti. The Villa Paula since 1989 has been named the most haunted building in Miami. It was built in 1925 and the first inhabitants were Senior Don Domigo Milode and his wife Paula. Six years after they moved in, Paula died of an unfortunate complication that arose during her leg amputation. Ever since paranormal activities have been reported at the Villa. There have been reports of unexplainable knocking of the front door, mysterious death of cats, clamping of heels in the backyard and even to the extent of sightings of Paula. The Villa with all its beautiful Cuban decors is since the 90s is preferably left unoccupied, at least after sunset.